Toddler Approved! 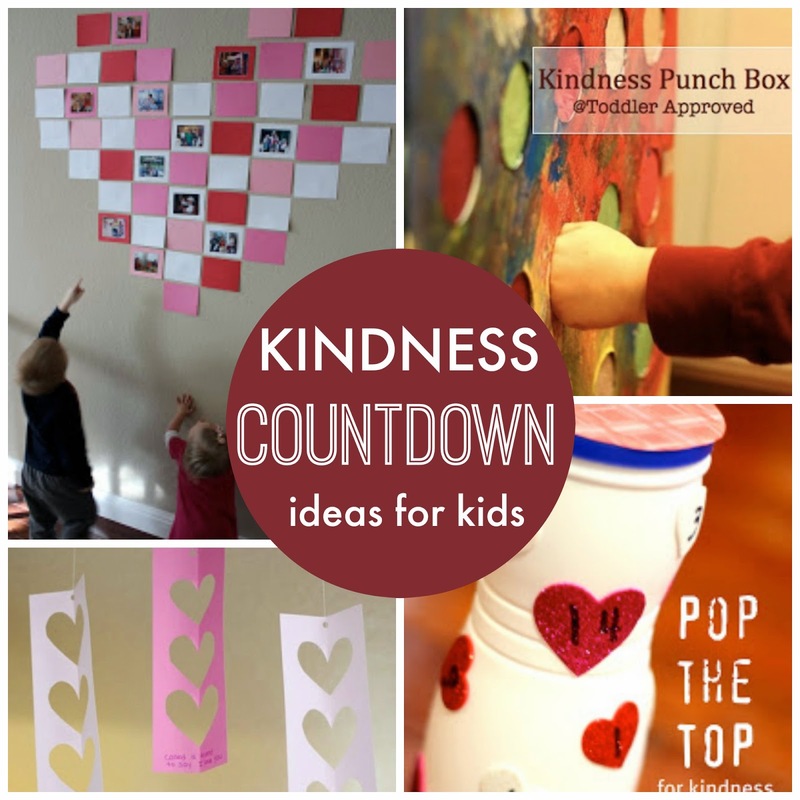 : Kindness Countdown Ideas! Yesterday we kicked off our 100 Acts of Kindness Challenge with our first Kindness Challenge! As part of the 100 Acts of Kindness Challenge each week we'll be issuing a kindness challenge and then every day between January 19th and February 14th we will be featuring some awesome blogging friends (on our blog and in our newsletter) who are sharing their favorite kindness activities with us to help us accomplish our challenge! Today Erin from Chicken Babies is sharing an adorable post filled with four cool ideas for how to set up a Valentine's Day kindness countdown. 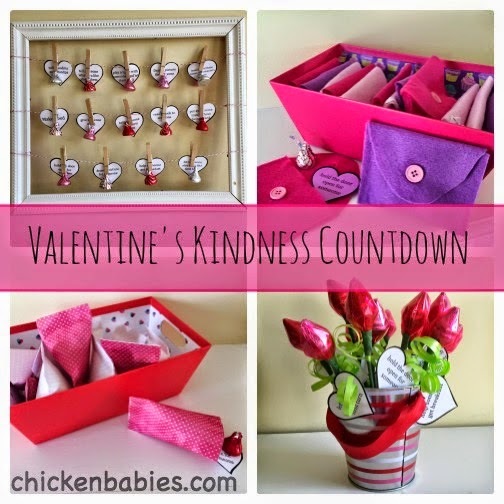 Click here to head over to Chicken Babies and read more about these Kindness Countdowns! If you want to get our simple kindness activities emailed to you daily you can even subscribe to our daily 100 Acts of Kindness newsletter. Have you completed our week 1 challenge yet? My 6-year-old made his five hearts immediately yesterday after I showed him our challenge newsletter. My littler kiddos (ages 4 & 2) also had fun joining in. I loved discovering love notes on my bed with a little treat last night. I'll be posting additional kindness activities along with simple toddler activities (and snippets of my life) over on Instagram if you want to follow along. I am @kristinatoddlerapproved. You can also follow my partner Megan over there at @coffeeandcrayon.